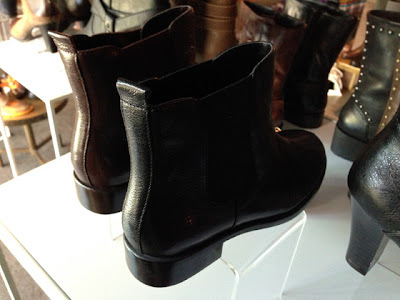 At their fall preview, Aerosoles had the usual impressive selection of booties and flats, always a favorite of mine at the Aerosoles on 34th Street, but the new AerGO line that lands in stores in August really had my shopping heart racing. 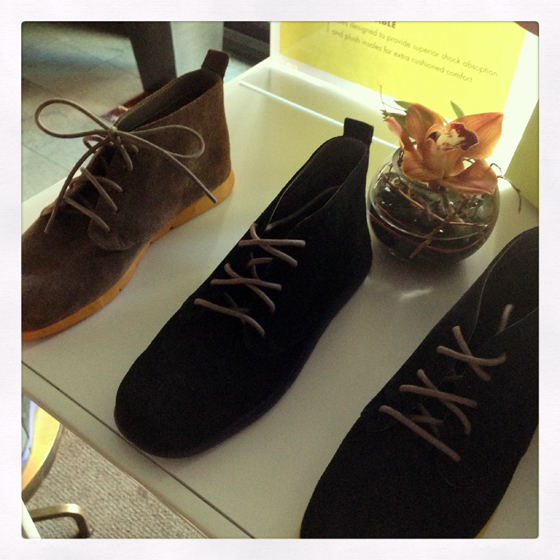 Adore the oxfords and the lace-up bootie. Best, AerGOs have EVA soles engineered to be flexible and incredibly lightweight. Flexible = NO break-in time, and their plush insoles mean extra cushioned comfort. Perfect shoes for the city this fall. 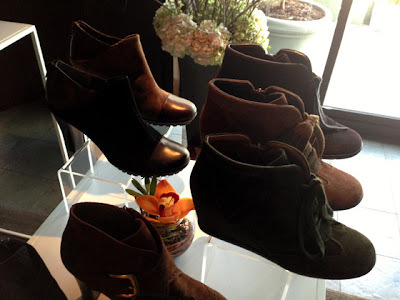 Below are some more of my fall favorites: note the lace-up wedge bootie below. 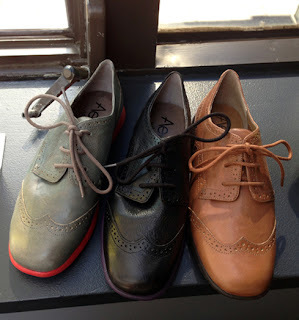 I want all three colors. And the commando heeled bootie behind it? 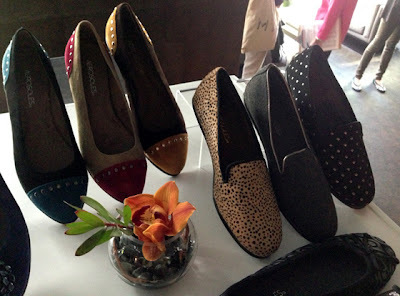 Aerosoles is really upping the chic quotient for 2013. 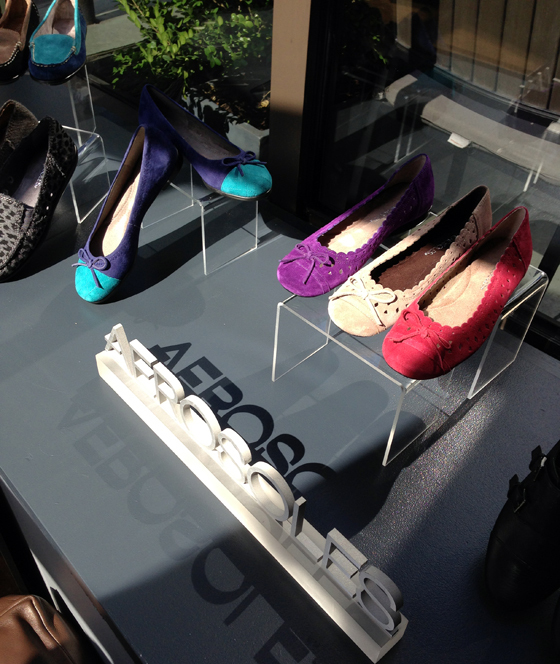 If you don't have Aerosoles flats yet, stop by 34th Street and try some on. Your feet are going to love you for it. Note the multitude of prints and style options, above. 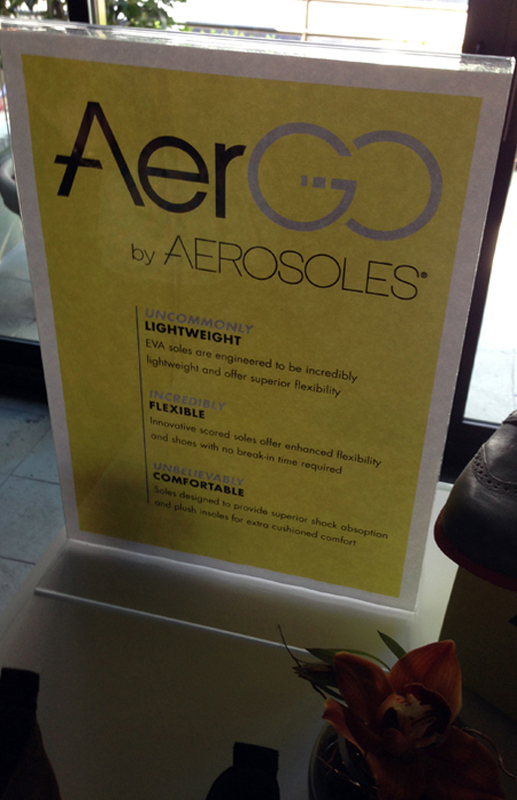 Aerosoles totally has it all covered.